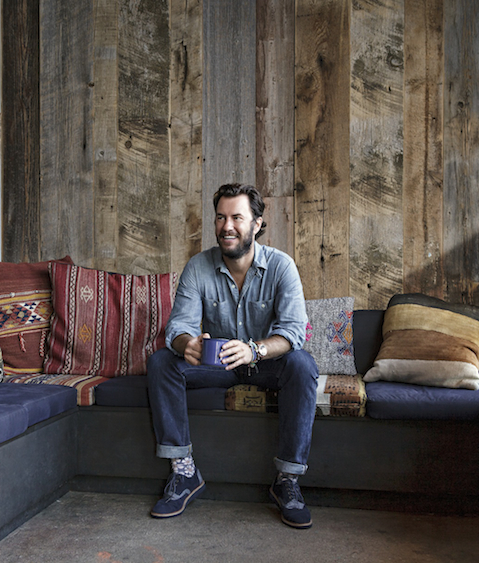 The American entrepreneur, philanthropist and founder of TOMS shoes talks about the value of failures, trusting one's gut instinct, and why asking the right questions is crucial for every business. Despite being a college dropout, you created three very successful businesses. Would you advise your kids to go to college first or is gaining work experience more important? I think it depends on the person. For some people, getting a university degree may be important to develop their social skills or gain specific knowledge. For others to know more about the world, they may need to go and learn through experiences and travels. You have to be passionate about what it is you’re being entrepreneurial about; using business to create new products, or solve a problem, or provide a service. When you have a memorable story about who you are and what you're doing, I think your success depends less on how experienced you are or how many degrees you have or who you know. I’ve seen that a good story transcends boundaries, breaks barriers, and opens doors. My television network company. We had to shut down the business and let go of the forty people working there. I was embarrassed and felt like a failure. I’ve gone through a lot of hard times, but when I go back to start a new business, I find my enthusiasm and passion again. I love the start of something new. Do you regret setting up a reality television channel? No, I don’t have regrets about that. I learned from all the missteps we made at that time, so now I am confident that I won’t repeat them in my business and in my life. Is it true that in order for one to succeed, one has to survive a failure first? I think that failure adds to your potential to succeed. You don’t always learn much from your success, but you definitely learn from your failures. Always be nice to people. You never know when they will cross your path again. It takes the same energy to be nice as it does to be a jerk so why not be nice? With the aid of technology, a lot of startups seem to pop up everywhere lately. What are the things that can make or break a new business? The most important element is PEOPLE. You can have a great idea, but if you don’t have people and energy around, you can’t make a business successful. People bring ideas. The second thing is the COMMUNITY and SOCIAL MEDIA. Our community’s opinion of our business matters much more than press and is more influential in the marketplace. Ever since you launched TOMS, it seems that you have been dealing constantly with new challenges: you kept expanding the idea of One for One, responded swiftly to criticism by moving production to underdeveloped countries, and continued working on demanding projects. How do you deal with all this stress? I work out a lot. I run. I love spending time on my sailboat or surfing somewhere. I really enjoy being active in the outdoors. Some of my best ideas come when I’m away from the office and doing something active. When I run, I can let my mind wander and I actually come up with a lot of ideas. Speaking of projects, what's the concept behind the ‘Coffee for you, water for all’ project? We’ve recently begun to sell coffee to support water supply and provide clean drinking water. For every bag purchased, we give a week’s worth of clean water to a person in need, in places like Rwanda and Peru. We invest back into the communities where the coffee comes from. Through my travels, I found that some of the greatest coffee comes from developing countries. I learned that the largest ingredient in coffee is water, and that in many of the countries producing coffee, there are huge populations of people without access to safe water. This just seemed like a natural place to begin giving through a third TOMS product category. What kind of tools, applications, or services make your everyday life easier? When I don’t have my journal, I use Evernote to keep track of all my ideas and to access my notes from everywhere. The rest of the time, I journal. I also use Uber for transportation and a food delivery service. When you write out your thoughts they become clearer. It’s good to go back and read what you were thinking especially when you have to make decisions. Could you talk us through your decision-making processes? Do you trust your gut feeling? Yes, I definitely trust my gut instinct. You are either going to be right or wrong, but if you analyse every problem in the world and every opportunity, you will always see a reason not to do it. Make sure that when you have passion for an idea that you act on it and you don't over analyse. About my decision process, I try to ask questions that are not obvious and I try to listen to different perspectives and not just one. I am not making a big decision without taking a bit of time, I normally write it down and sleep on it. When it comes to physical retail spaces, what should brands do? They should focus more on creating unique community spaces—more than traditional retail stores or sterile, commercialised environments. 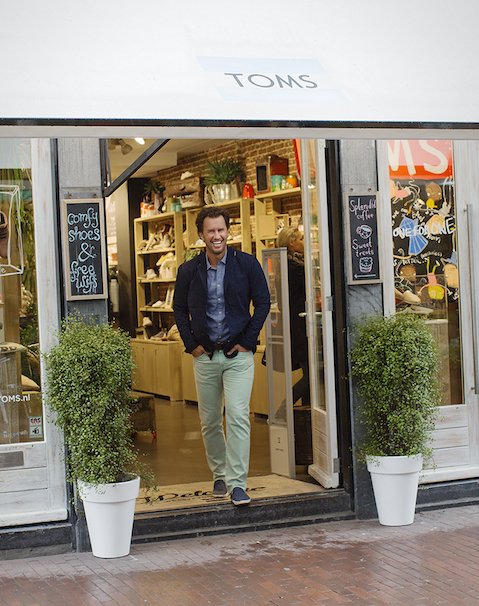 We really want to continue creating unique spaces to feel like TOMS has come to life in front of you. I don't like to even call it a store. It's more of a community space, a cafe, a meeting place for people who are inspired by what we are doing and doing other great things themselves. Office politics, sales channels conflicts and prioritising new categories and products. This article has been translated and published in Close Up magazine.